Founded in 1891, Drexel University is a private research university located in Philadelphia, Pennsylvania. 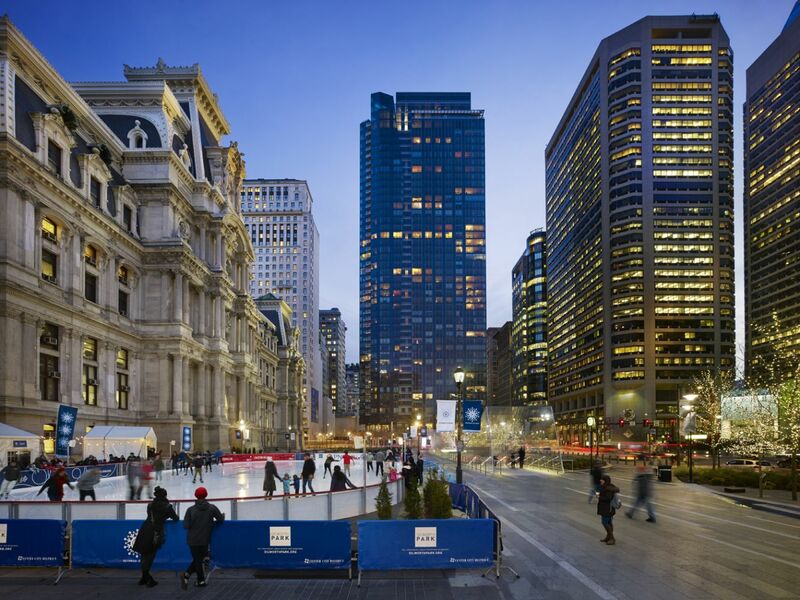 The university campus is divided into three parts across the Philadelphia area: the University City Campus, the Center City Hahnemann Campus (including Hahnemann University Hospital), and the Queen Lane College of Medicine Campus. The University comprises of 15 schools and colleges such as biomedical engineering, science and health systems, arts & sciences, business, computing and informatics, education, engineering, entrepreneurship, food and hospitality management, graduate college, honors, law, media arts & design, medicine, nursing and health professions, professional studies, public health and sport management. It offers over 80 undergraduate programs, 120 graduate programs and degree certificates. The most popular majors at Drexel University include: Health Professions and Related Programs; Engineering; Business, Management, Marketing, and Related Support Services; Visual and Performing Arts; Biological and Biomedical Sciences. It follows a quarter based academic calendar. 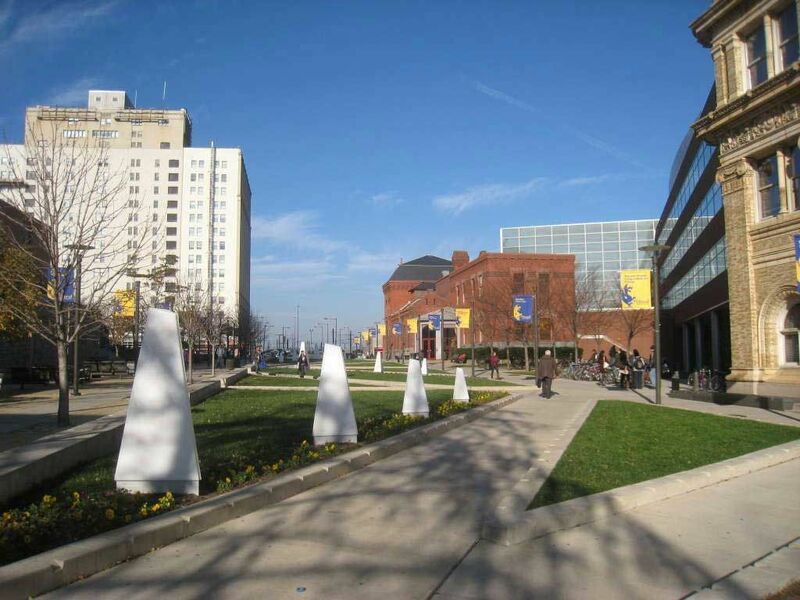 The total student population at the Drexel University is more than 25,500 of which over 16,400 are enrolled in the undergraduate programs. The student to faculty ratio at the university is 10:1 and the acceptance rate is 75%. Drexel was ranked 78th for its undergraduate business program by the Bloomberg Business week. Its cooperative education program (co-op) is a unique aspect of the school's degree programs as it offers students the opportunity to gain up to 18 months of paid, full-time work experience in a field relevant to their undergraduate major or graduate degree program prior to graduation. The MS in Academic Medicine is designed to address topics of value to the academic physician, including training in leadership, education, ethics, professionalism, public health, health accreditation, statistics, bioepidemiology, research techniques, medical writing and editing, grant writing, research regulations, public speaking and academic health center management. These are topics typically important to educators, but not commonly covered in depth during residency training. The MS in academic medicine provides a structured pathway for physicians planning careers as clinical educators to acquire specialized knowledge and to demonstrate a special expertise in teaching. The RN-BSN-MSN Option is a pathway for students who have an RN and are interested in pursuing a fast-track option to complete a BSN and MSN. This program is also available to students who are currently in the Drexel RN to BSN completion program and are interested in continuing their studies to pursue the MSN. The accounting major is designed to provide basic conceptual accounting and business knowledge for careers in accounting and taxation. Accounting provides critical information that allows for decision making at all levels of business. Required courses prepare students to provide accounting information so it is useful for all decision makers. These courses cover financial accounting, managerial accounting, taxation and auditing. Electives may also be taken in the areas of Forensic accounting, Internal Audit and State And Local Taxation. The program offers students the opportunity to obtain the technical knowledge, analytical skills and communication proficiency required to serve as ethical and effective accounting professionals. Upon completion of the program, students will be eligible to be licensed in the state of Pennsylvania. The one-year program builds on knowledge equivalent to the requirements for a Drexel University baccalaureate degree in business with a major in accounting. The Master of Laws (LL.M.) in American Legal Practice is designed for students who have completed, at minimum, an LL.B. or its equivalent outside of the United States. The LL.M. provides these students with a sophisticated knowledge of U.S. legal practice and grounds them in a basic understanding of U.S. law. The annual cost of living at Drexel University USD 14,250 approx. Rishabh Nigam is pursuing a dual major in Game Design and Animation, with minor in Computer Science at Purdue Polytechnic Institute, West Lafayette. Being a passionate programmer, Rishabh applied to many top universities for major in Computer Science and Gaming, and received offers from Denver, Drexel, Northeastern and many other universities. He graduated high school from the Indian curriculum secured a score of 1340 in his SAT. I would like to extend my sincerest thanks and appreciation to all the faculty members of Brighter Prep for all the support and positivity they extended to me. Even though I was late to join and apply for my universities, they calmly guided me every step of the way. I came into my first meeting not knowing where I wanted to go or what I wanted to do, but the brainstorming sessions with Varun and Roshan were extremely helpful in deciding the right path for me. Once my application decisions came through, I had a hard time deciding between IU and Purdue University, but with the guidance of my counselors, I chose Purdue, and I feel like it was the right decision. Not only was it their guidance that helped me be where I am today, but it was also their excellent teaching staff that helped ace standardized tests like the IELTS, the TOEFL, and the SAT. Thank you, once again, for your continued support.